These promo prices and offers are valid only until 23 April 2019. Now buy ECTACO Partner 800 series talking dictionaries at special manufacturer's prices! 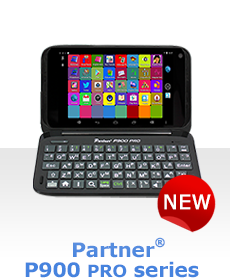 Packed to bursting with essential utilities you can depend on, devices from the ECTACO Partner 800 series help you to understand and communicate instantly at a price that is unbeatable. Containing some of the industry's most complete vocabularies and 14,000 first-use phrases they help you make sense of the world in another language. With sophisticated TTS (Text-To-Speech) voice synthesis, a user-friendly interface for fast and easy navigation and advanced Look-up and Word Recognition functions you will have everything you need to understand and be understood in the palm of your hand. Now buy ECTACO Partner C-4 series talking dictionaries at special manufacturer's prices! ECTACO Partner C-4 series is a fully expandable, professional-level talking electronic dictionary powered by rechargeable battery which comes in a standard package. With two high-quality screens that open like a real book, it offers an enhanced translating and reading experience while taking up a fraction of the space. Each unit comes pre-loaded with an extensive vocabulary base of single words and commonly used phrases that can be spoken out loud if needed. The C-4 series models also have an option of adding other languages on SD cards. Free shipping & handling within the AU & New Zealand on any dictionary purchase.